Erwin Rommel and his staff, Western Desert, 1942. Love him or hate him, Edwin Rommel screams class in every photo. Rommel was a gallant enemy. He didn’t order his men to execute troops. He didn’t set out to oppress Jewish populations. In fact, he is said to have ripped up an order from Hitler that ordered him to execute prisoners and then announced to those around him that the order wasn’t clear. Rommel was quite an interfering general. German military officers were trained to think for themselves. Today this is known as Mission Type Tactics. The commander was supposed to give an order which stated the resources available to be used (troops, tanks, etc.) and the objective. It was up to the lower ranked officers to use their own initiative in how to obtain the objective. Edwin Rommel gave orders with specific instructions and expected them to be followed to the letter. He would also drive around the front and give orders to soldiers thus cutting their actual officers off (there’s accounts of him issuing individual targets to anti-tank guns rather than let their own officers decide and almost being killed by the returning fire). 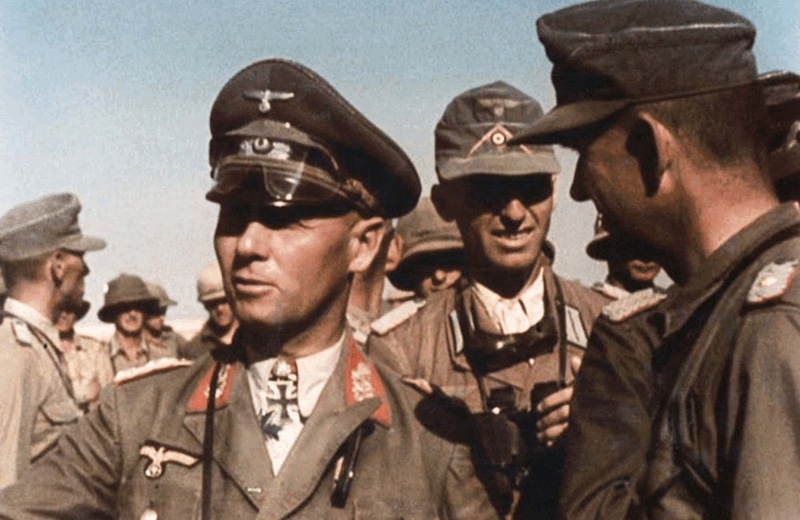 Rommel was loved by the enlisted men under his command and quite detested by his officers as they considered him interfering and that he didn’t trust them to do their actual jobs. As a general though he acted as a captain. Rommel is quite often praised for his tactical abilities. Tactics though (the small-scale stuff, what soldiers do in battle) wasn’t supposed to be what a general worried about. During the Second World War, in Japanese weekly newsreels the military victories of the German Generalfeldmarschall Erwin Rommel in Africa were frequently celebrated, thus establishing Rommel as the Japanese term for victory or success. Even today, Japanese football mascots are called with this word. In his memoirs, the Australian General Morshead considered Rommel to be highly predictable in how he would initially attack. This is one of the reasons why he failed to take Tobruk from the mostly Australian garrison. Morshead was able to work out where Rommel would attack and would have the needed defenses there to resist. Morshead said that if Rommel had shown a bit more unpredictability the “Fortress Tobruk” would have fallen as the defenders did not have enough antitank guns to defend everywhere. I think at the time of the North African campaign of WW 2, The Allies already had ULTRA. So the predictability of Rommel's moves may have something to do with it and not necessarily due the General's inflexible routines.